Blue Castle Holdings (BCH) is a Utah based company created to lower the risk of acquiring new power resources for the electric utilities. The BCH business mission is to select, acquire, enhance, and license plant sites which are uniquely well suited for the deployment of new nuclear power generation. Blue Castle is accumulating the required assets to begin licensing a preferred site for the deployment of a new nuclear power production facility in Utah. Nuclear Street Managing Editor Stephen Heiser recently had a chance to talk with Blue Castle CEO Aaron Tilton. In the rapidly changing world of the U.S. nuclear power industry the role of smaller developers like Blue Castle is evolving on a daily basis. The social, political, economic, and technological landscape is changing quickly and continuity can be an ephemeral quality in the nuclear renaissance. Here is what CEO Aaron Tilton had to say. Nuclear Street: What is the core value of a development company like Blue Castle Holdings? Tilton: Our company solves a common ongoing utility problem, lack of economic options for new generating resources. The recent political, social and resource demands in the U.S. power markets, especially in the Western U.S., have resulted in increased risk and substantial uncertainty for deploying base-load electrical generation. We value the Blue Castle Project from a utility ownership options perspective. Most utilities don’t want to buy power they want to own assets. We have embraced that, by allowing utilities to own equity in our project. The potential participants in the Blue Castle Project are relying on the option they acquire from BCH to participate in the building of a $13 - $16 billion nuclear power station when it is more advantageous to do so and counting on the assurance of a license that guarantees the right to build and operate. This advantage overcomes inherent uncertainty were a utility to develop the site on its own. From the perspective of a utility, purchasing an option to participate in a fully licensed new nuclear plant at an acquisition cost of 4-7% of the station’s estimated construction cost,is a very reasonably priced option. In other words, for a very low cost we can reduce project development risk and provide high confidence for the timely availability of a new generation option. The Blue Castle Project equity option maintains continuity in a shifting market place while limiting upfront expense and risk for utilities. Nuclear Street: Why was the Green River location selected? Tilton: The Blue Castle site, near Green River, Utah, was selected, after 2 years of due diligence and prequalification activities, for its nuclear power plant deployment suitability. Key BCH site selection criteria include energy market access, available and potential transmission capacity, available water resources, appropriate physical and geological site characteristics, supportive state, local and regional communities, and attractive overall nuclear site realization potential. Based on these selection prerequisites, BCH site development will encompass all phases of preconstruction site preparation, including local permitting and Nuclear Regulatory Commission (NRC) licensing. Nuclear Street: Who are the top people at Blue Castle and can you tell me a little bit about them and what they have achieved? Tilton: I am President and CEO of Blue Castle Holdings. A co-founder of BCH in 2006, I have overseen the acquisition of initial assets and guided political strategies for the company. Prior to BCH, I negotiated ownership equity and power purchase agreements with municipal and investor owned utilities throughout the Southwest. I led these activities for two new coal fired projects in the region. Prior to BCH, I developed and negotiated equity positions and power purchase agreements. In parallel with these responsibilities, I also advised a venture capital firms on state regulatory matters, particularly in the fields of pharmaceuticals and healthcare. I am also a former Utah State House Representative. Thomas P. Retson is our Chief Operating Officer. He spent 23 years with GE Nuclear Energy which provided the foundation for his move later as a consultant to many major utilities and energy industry participants worldwide. Joining GE upon graduation from UW Madison with a BS degree in nuclear engineering, Tom completed multiyear engineering assignments before assuming progressively more responsible U.S., European, and Asian nuclear management positions, most recently as group executive for GE Nuclear electric utility customers in the northeastern U.S.
Dr. Nils J. Diaz is our Chief Strategic Officer. He is a former Chairman of the U.S. Nuclear Regulatory Commission (NRC). Dr. Diaz was designated Chairman of the NRC by President Bush on April 1, 2003 and he served as such until his retirement from government service on June 30, 2006. As Chairman of the NRC, Dr. Diaz served as the principal executive officer of and the official spokesman for the NRC, and had ultimate authority for all NRC functions pertaining to an emergency involving an NRC license; he was directly responsible for all high level interactions with the U.S. Executive Branch and the Congress, as well as international relationships and the policy development under the NRC charter. Robert Graber is our Senior Vice President Energy Economics. Robert is the architect of EPNM2 (EnergyPath Nuclear Market Model), a nuclear plant financial, accounting, and valuation model. He is responsible for modeling all economic and financial aspects of the Blue Castle Project. He has held management positions in planning, strategy and marketing throughout his career. Most recently, as the director of strategic planning at Cadence Design Systems, he was responsible for the enterprise strategy of a fast growing, billion dollar high tech company in San Jose, California. 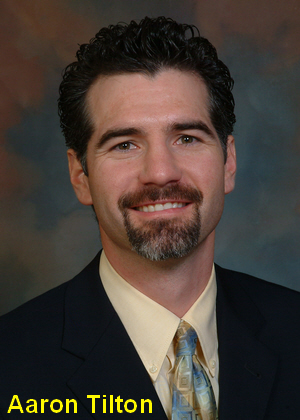 Reed T. Searle is our Senior Vice President of Business Development. In 2007, he was appointed to the BCH executive management team, and has since led the firm in regional development and transmission matters. From l989 through 2007, he served as General Manager of the Intermountain Power Agency (IPA). IPA owns a 1950 megawatt IPP coal-fired electric generating station in southwestern Utah, supplying electricity to municipal utilities in Utah and California. If you are interested, more detailed information about our team can be viewed here http://www.bluecastleproject.com/About_Blue_Castle.html. Nuclear Street: How is the local approval process going? What challenges are you facing? Who are your biggest fans and who are your biggest opponents? Tilton: Emery County has been very supportive and completed zoning changes and passed official resolutions supporting the building of nuclear power in Emery County. The City of Green River has also voted to allow the project to use land the city owns on the banks of the Green River for the intake structure for the water supply to the plant. The local populations are our biggest fans. Emery County currently has several power plants (two of the states largest) which are the major sources of employment in the region. The other major employers are the coal mines. We really do not have any significant sources of local opposition. These people understand power plants and the great economic impacts that result from them. We have unanimous support from the County Commission both Republican and Democrat. We have unanimous support from the Mayor and Council of Green River City as well. Both Emery County and the City of Green River passed resolutions supporting the development of nuclear power http://www.bluecastleproject.com/files/35470455.pdf. http://www.bluecastleproject.com/files/35439890.pdf . In 2008 Emery County also changed the zoning to include industrial uses (which would include a nuclear power plant) on the land proposed for the plant site http://www.bluecastleproject.com/files/35439816.pdf. Nuclear Street: Are you getting enough political support at the local and state levels? What are you doing to win people over? Tilton: Utah has historically been a net exporter of electricity and other energy resources like coal and natural gas. We have involved the state and local communities in multiple public meetings both locally and at the State Capitol. It is not difficult to get support for a project that demonstrates that it can successfully create jobs and provide sizeable economic benefits to the region. Some examples of official support include the following. The Governor of Utah signed a bill providing nuclear power with a 100% tax rebate for 20 years http://www.bluecastleproject.com/files/39032619.pdf. The Utah State Legislature supports the development of nuclear power in the state of Utah http://www.bluecastleproject.com/files/35456569.pdf, and a Desert News poll found that a majority of people in the state of Utah are supportive of nuclear power http://www.bluecastleproject.com/files/35439887.pdf. Nuclear Street: Have you selected a reactor design? If so what led you to choose that design? If not yet, what reactor designs are you considering and what do you like/dislike about them? Tilton: We have not selected a reactor design. Our licensing plan is to file the application first for an Early Site permit and about 18 months later file the application for the Combined License. This plan provides a BCH with a flexible reactor vendor choice. It also makes the most efficient timing related to the issuance of the ESP and COL. We believe that staging this way exposes the project to the least amount of licensing risk. Nuclear Street: How is the company doing in terms of power purchase agreements? Tilton: The Blue Castle business model entails partnering with regional utilities in significant equity ownership. Also as part of the business model we expect to sell power purchase agreements on a smaller portion of the project. Currently the project is in discussion with over 15 utilities which represent about 4500 MW of interest. The current projected output of the site is 3000MW nominal. We have signed an MOU with Page Electric Utility for a small equity position thus far. Details about the Page Electric Utility MOU can be seen here http://www.bluecastleproject.com/files/37954062.pdf. Nuclear Street: Have you submitted paperwork for a combined operating license yet? If yes, how is that going? If not yet, when are you hoping to file? Nuclear Street: Ideally how would you like to finance the construction and rollout? Could this be a model for future endeavors? Tilton: Our model is very similar to other multi-owner financing structures. Multiple owners finance their prorated portions of construction and operations costs. Similar to STP’s project or the Vogtle multi-ownership structure. Nuclear Street: Water rights can sometimes be a vexing issue for new plants, have you had good luck getting the water and the water rights that the plant will use? Tilton: Blue Castle currently has over 53,000 acre feet of water rights under lease for effectively 70 years. We have completed the last regulatory hearing for approval of the water use through the State of Utah. We expect our regulatory approval to be issued this summer some time. Additional details about our water use plan can be seen here on our website http://www.bluecastleproject.com/Nuclear_Power_FAQ_Continued.html#Is water a concern. Information about our testimony at the final hearing on the state approval of the water use for the Blue Castle Project can be viewed here http://www.bluecastleproject.com/files/37505852.pdf. Nuclear Street: There are very few companies attempting what you are doing, have you been in communication with any of these other start-ups? Tilton: We are not aware of any other similar projects that have reached a comparable level of development. Especially in the Western U.S., if a nuclear development company has not physically secured cooling water sufficient to produce electricity at an economical price and doesn’t have the necessary access to current and future transmission expansion at an economic price they really do not yet have a viable project. We have spent the last four years either eliminating or reducing fundamental physical risks and increasing political and economic advantages. Combining our created advantages with the inherent advantages of our site such as market access and transmission proximity the Blue Castle Project is a leading new nuclear site if not the leading new nuclear site in the Western U.S.
We have been approached by others asking us to develop sites at other locations. We are always looking for additional opportunities to work with others on additional projects in other markets. Nuclear Street: What are your plans for handling spent fuel and security for the new plant? Tilton: We will have spent fuel storage facilities able to provide over 100 years of safe and secure storage. Used or spent fuel can be stored on the Blue Castle site or any other suitable site, in dry casks for very long periods of time. A 60 year batch of used fuel from a two or three-unit nuclear power facility having a nominal 3000Mwe capacity, like the Blue Castle Project, will fit on 1 ½ acres. You can find more details about spent fuel here http://www.bluecastleproject.com/Nuclear_Power_FAQ_Continued.html#What. Nuclear Street: Thank You very much and good luck.